The Exclusion of Labor, cont. Here is the last paragraph of what I posted earlier, plus some text that goes into more detail about the subject. Any suggestions would be appreciated. Most economists are dismissive of any theory not built on what they consider to be solid micro-foundations — economists’ jargon for this patently unrealistic model. 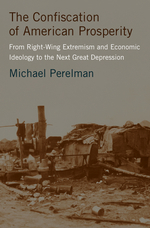 Mainstream economists feel threatened by the suggestion that work, workers, or working conditions could be a legitimate subject of economic inquiry. As a result, any challenges to their theoretical position get treated to a hostile reception. In one famous case, in 1944 Richard Lester published an article questioning whether labor markets actually operated in the manner that mainstream economics suggested. Lester had extensive experience in industry after having recently served as chair of the Southern Textile Commission of the National War Labor Board. Using government data, as well as surveys of industry leaders, Lester found evidence at odds with the assumptions of mainstream economic theory (Lester 1944). For example, his results suggested that an increase in the minimum wage would have little or no effect on employment, a conclusion that infuriated major defenders of the faith, led by George Stigler, later a leader of the Chicago school of economics and a Nobel laureate (see Prasch 2007). Lester and Card did not fail to convince their fellow economists because of errors in their work. Economists either ignored their results or, worse yet, rejected them out of hand because they conflicted with economists cherished beliefs. 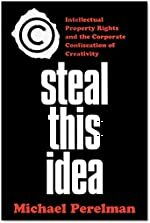 As Stigler’s colleague, Milton Friedman, once wrote: “Nothing is harder than for men to face facts that threaten to undermine strongly held beliefs, to change views arrived at over a long period. 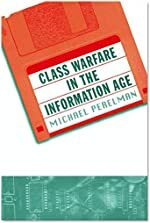 And there are no such things as unambiguous facts” (Friedman 1968, p. 14; cited in Diesing 1985, p. 61). Yet, Chicago economics is famous for rejecting empirical evidence. 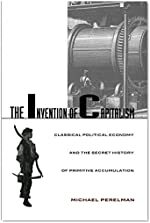 Dierdre McCloskey, a former Chicago faculty member, recounts how people who used data that called the theory into question would “be met by choruses of “I can’t believe it” or “It doesn’t make sense.” Milton Friedman’s own Money Workshop at Chicago in the late 1960s and the early 1970s was a case in point” (McCloskey 1985, p. 140). Economists regard this stubborn resistance to be good science. Predictably, the troubling questions raised by Lester and Card had no effect. 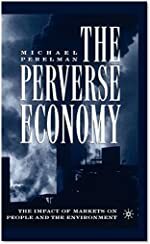 Economists’ beloved micro-foundations and their faith in market efficiency remained invulnerable — so much so that economists today rarely even bother to publish research about the core of economic theory. 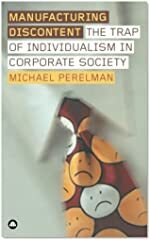 In this environment, economists can continue to use their transaction-based theory without the inconvenience of dealing with work, workers, or working conditions. 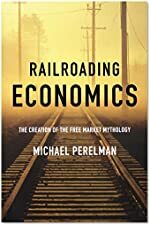 But by removing work, workers, and working conditions from their theory, economists blind themselves to the kind of inefficiencies that this book shows, especially in Chapter 9.